Jane Austen famously described Emma Woodhouse, the title character of her 1815 novel, as "a heroine whom no-one but myself will much like." 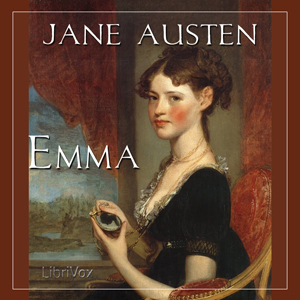 Yet generations of readers have loved Emma, as much for her blunders as for her wit and vivacity. Emma, "handsome, clever, and rich," has nothing else to do but try to pair off her friends, and she consistently mis-reads the relationships and situations around her as much as she mis-reads her own heart. The novel features a wonderful cast of characters, including Emma's hypochondriac father, the odiously prideful Mrs. Elton, the mysterious and reserved Jane Fairfax, and Miss Bates, who never stops talking. (Summary by Elizabeth Klett).